Cool video you guys know how to put them down I always enjoy your videos keep after them. Yep, you already know or you would have shot. Everything you can think of can go wrong on a 300 + yard shot. I see a lot of people have a hard time hitting an 8 inch pie plate at 300 yards at my club shooting range. 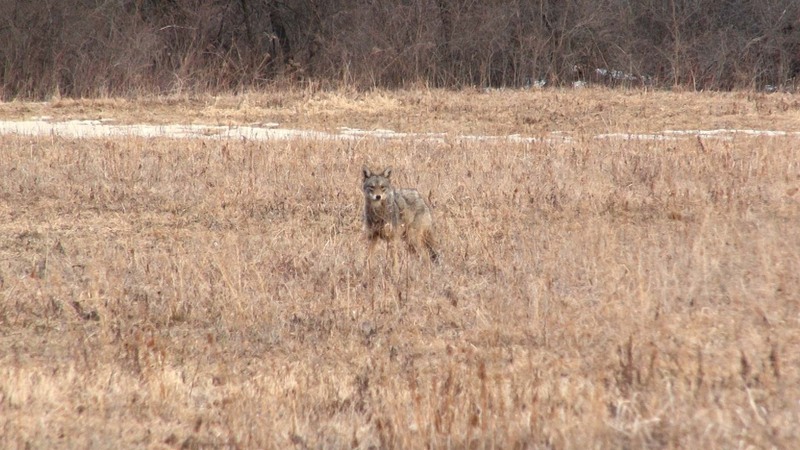 A coyote under field conditions is harder to hit then that 8 inch plate at the club range. My thoughts. I’d keep moving closer to them. Ok Feb. 4th I called in an killed a coyote since that time I have had coyotes less then 500yds 4 different times, yesterday after daylight had a pair close to 477yds I know that most would have been sending lead, maybe I should have but I was just not steady enough. About 2 weeks ago had the same pair at 304yds this was at night I just did not have a good enough sight picture in the scope to take the shot, both times they just left they was not spooked just lost interest or knew something was not right. This pair has been pressured a lot by me and the neighboring farm kids and some guy trapping, I seem to be able to get them to sound off an even show up at a distances sure would be nice to get a little closer. What's your thoughts? I would not like to see that I think the dogs are part of your gear like your call the houndsmen will say the same about us callers. IF YOU ARE NOT A CURRENT PAID MEMBER, YOU MUST JOIN TO BE IN THE HUNT. YOU CAN JOIN AT ANY TIME THROUGHOUT THE MONTH. - This hunt will run from March 1 to March 31. -All coyotes must be harvested in Pa.
-All coyotes must be called. - Under no circumstances can you enter the same coyote more than once. - If you post your kills here on Facebook, please declare yourself "in" under the pinned post and chose a 3-digit number in case of a tie. This will be an internet check in hunt. You will enter your harvest pictures on this thread. The predator hunter must be in the picture with the harvested coyote displaying the appropriate sign. This sign will be announced prior to the hunt. You will have 24 hours to post your picture after the kill. If the rules are not followed the kill will not count in the hunt. There will be a 3-digit number in case of a tie. The tie breaker will be based off April 1 evening Daily Numbers. Please post “In” on this post if you wish to enter the hunt and your 3-digit number. MOST IMPORTANTLY Have fun and be safe! If you have any questions, please pm an administrator. I personally don’t think a dog should be charged.